Where are all the Mazda 6 pics?? Especially the engine bay of the Blazing Copper one. Loc: Laughing at everyone buying premium! I was very glad to see some SZers this weekend! I was back in FW visiting my parents and saw the Contour Conga Line driving down US-20! 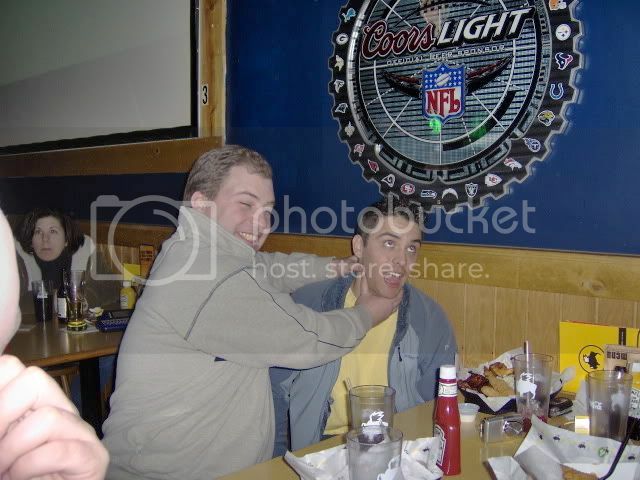 Keep yours hands away from Pete when he is EATING! lol, so many moments with Pete. Stazi sneakin' into my trunk when I wasn't looking. I have hi-res versions of all of them and I even have the original un-edited elky pic for you perverts that want it. Here are just some of my candid pics and other random photos. that is a looooot of pictures dude! dang. I have been laughing my a$$ off at all of these pics... looks like I missed a bunch of the fun some how... oh well - see yall next year!